Granby Toxteth Development Trust: Want to boost your 'Skills for Work'? Want to boost your 'Skills for Work'? 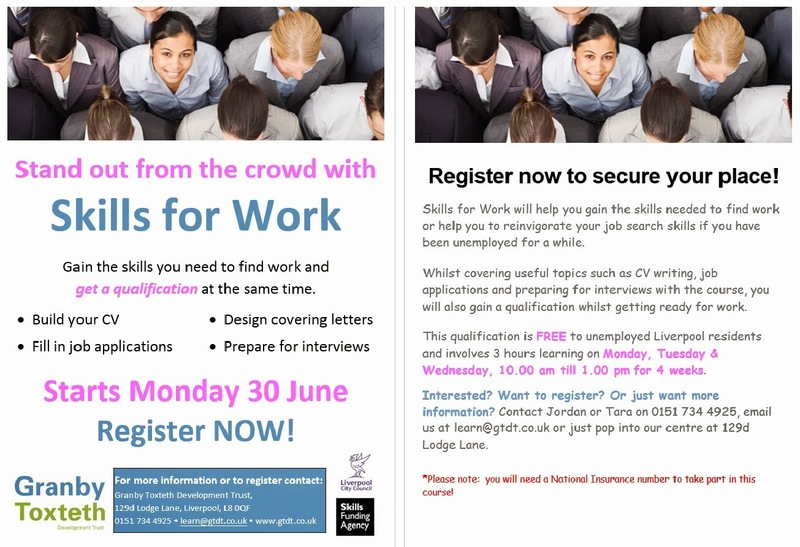 Following the successful delivery of our 'Skills for Work' course,we are delighted to be able to offer another opportunity to reinvigorate your job search skills starting Monday 30 June 2014 at 10am.